Each phase current is 1.7A & phase reslstance 1.5ohms, and the holding moment is 40Ncm. Warning: It should be connected to a constant current or chopper driver as a stepper motor. If you connect the motor directly to a power supply, the motor is destroyed. 100% brand new from "STEPPERONLINE" and ROHS and CE certified. 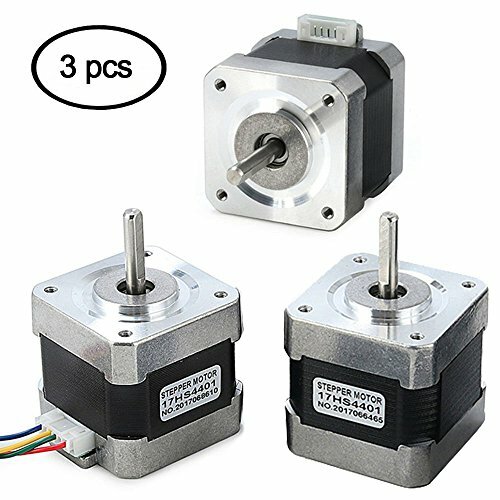 View More In 3D Printer Motors. If you have any questions about this product by Beauty Star, contact us by completing and submitting the form below. If you are looking for a specif part number, please include it with your message.